Being a parent is often challenging but being a parent with a spinal cord injury can present new and unexpected challenges. 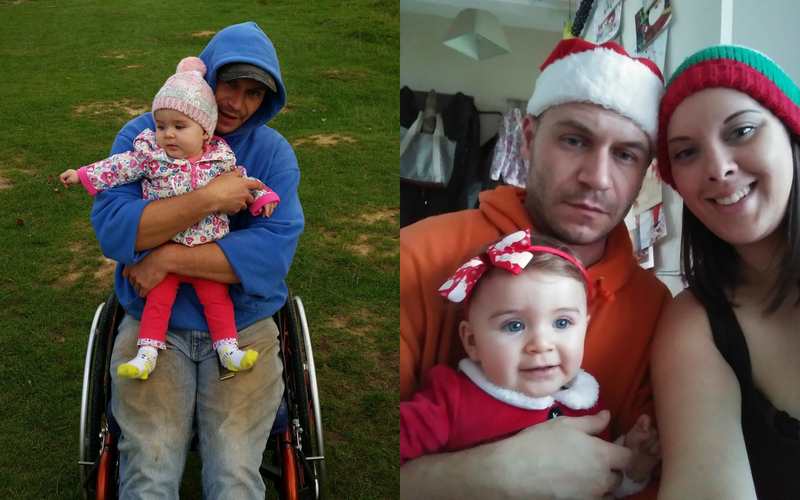 Matt, 34, is a young dad who sustained a spinal cord injury last year when his daughter was only three months old. 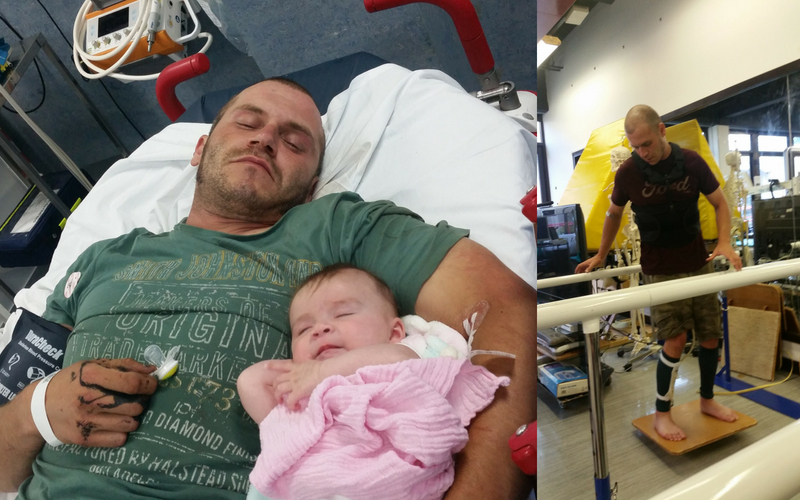 On 2 June, Matt was climbing a tree when he lost his balance and fell to the ground. Matt was rushed to Brighton hospital where he immediately underwent surgery on his back. He sustained an injury between T-12 and L-2 and was transferred to Stoke Mandeville to undergo his rehabilitation. 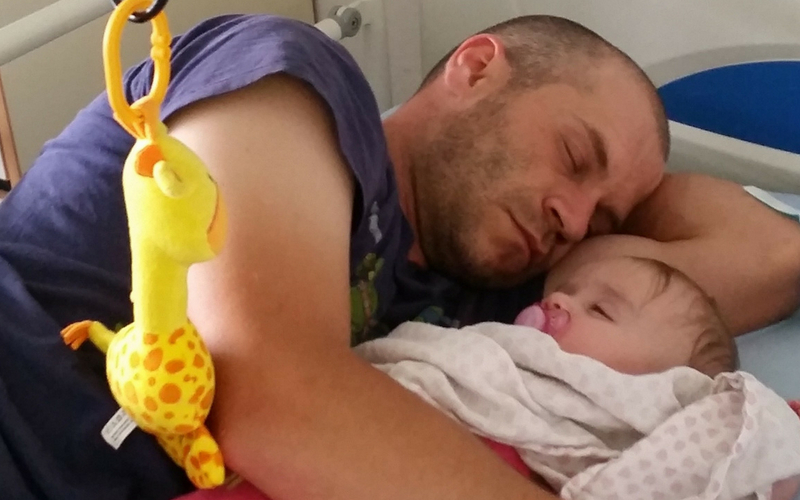 During those early days, Matt found it incredibly motivating to have his daughter around him. ‘‘My partner used to come to the hospital and leave my daughter with me for a few hours. She wanted to play with me and I wanted to be able to play with her too, of course. It was a good reason to get on with my physiotherapy and build up my strength,’’ Matt says. Matt has an incomplete injury and, after four or five weeks, he regained some sensation below the waist and started to walk again. When he returned home, he wanted to be the same parent he’d been before his injury, but he had to contend with fatigue, neuropathic pain and a boisterous baby girl whose favourite habit was trying to pull her dad’s catheter out. ‘‘It’s harder post injury than it was before. I never minded mucking around with her, but now I’m trying to take care of my little girl while balancing my pain and other issues which isn’t easy. From his own experience, Matt recommends partitioning your living space so that you don’t get exhausted looking after your children. Being mindful of how much you can do on your own is important too, and asking for help if you need it. ‘‘When I first came home, I couldn’t look after my daughter on my own, and so we had some child care at first which helped a lot,’’ Matt adds. 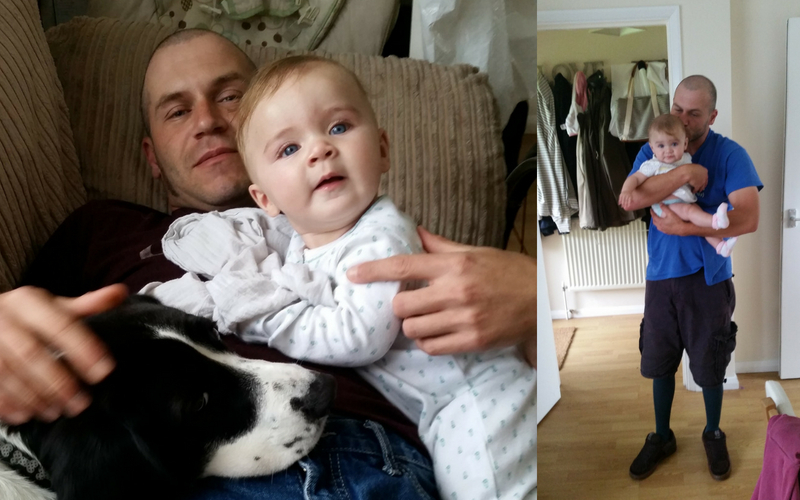 As well as figuring out life as a young parent, Matt has been speaking to one of our volunteer mentors to gain new perspectives on life with an incomplete spinal cord injury. Matt’s recently started to research equipment which he hopes will help him to get back to the outdoor work he loves. He’s also in the process of applying for an adapted car to give him some more independence. Matt regrets that he can’t visit some of the places he used to go pre-injury, but the wheelchair skills he gained from Back Up have allowed him to take some trips out in a chair with his family. Do you have any questions about parenting with a spinal cord injury? Please get in touch with our outreach and support team by email or call them on 020 8875 1805. You can also find out more about Back Up’s work in our support for you section including our Next Steps course for people with an incomplete injury who can walk some or all the time.